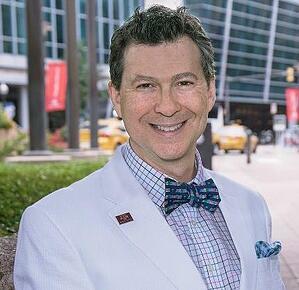 Texas A&M University School of Law professor, William Byrnes, is the only United States academic scholar selected by the scientific committee of International Congress to present at the “International Tax Cooperation” Congress 2019: Digital Economy, Transfer Pricing and Litigation in Tax Matters held this week in Barcelona, Spain. Byrnes will present to tax administrators and academics from over 50 countries. Byrnes is one of the symposium's expert panelists who will discuss the new global framework for transfer pricing. He is a professor and associate dean for special projects at Texas A&M University School of Law. Byrnes is one of the leading and best-selling authors with 30 books and treatises that have sold in excess of 100,000 copies in print and online and more than 1,000 online annual database subscribers. Byrnes' seven Lexis treatises include: Foreign Tax and Trade Briefs, Tax Havens of the World, LexisNexis Guide to FATCA Compliance, Practical Guide to U.S. Transfer Pricing, Money Laundering, Asset Forfeiture and Recovery, and Compliance--A Global Guide, Taxation of Intellectual Property and Technology, and International Withholding Tax Treaty Guide. Byrnes held a senior international tax position at Coopers & Lybrand and has been commissioned by a number of governments on tax and professional education policy. Byrnes' career is rooted in legal education and not limited to tax law. In 1994, he pioneered online legal education. In 1998, he created the first online LL.M. acquiesced by the ABA. He speaks globally on best practices for distance education.